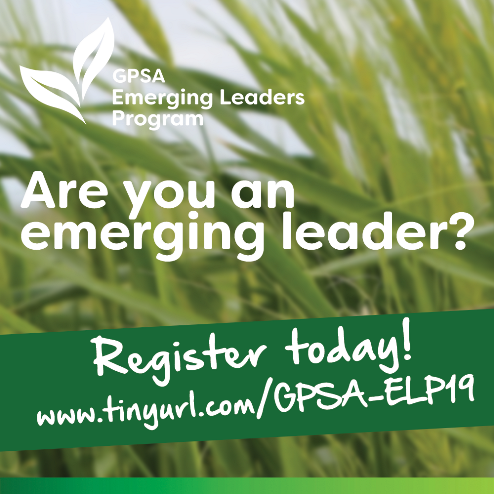 Grain Producers SA (GPSA) has launched its Emerging Leaders Program, modelled on the highly successful SAFF Future Leaders Program that was established in the early 2000’s and is now seeking the first round of applicants. The program is adapted for contemporary leadership challenges, including social media and director responsibilities, and will serve as a training ground supporting succession planning for GPSA and its member organisations through participation in committee structures and eventually at Board level. To deliver their mission GPSA need skilled and capable individuals involved in setting policy, and to manage and anticipate emerging issues relevant to grain producers and the wider industry. That’s why GPSA wants to inspire and motivate the next generation of industry leaders. If you know someone that’s determined to make a difference for their family farm, community and industry then please encourage them to register their interest. GPSA is accepting applications until Tuesday 30th April, 2019.